The A83 has suffered numerous landslides. Traffic was shut off from the Rest And Be Thankful since thousands of tonnes of debris reached catch-fences above the carriageway on October 9 following heavy rain. 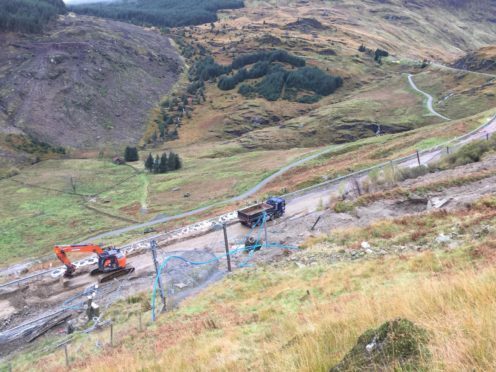 Eddie Ross, BEAR Scotland’s north-west representative, said: “Following a full safety assessment this morning along with representatives from Police Scotland, we were pleased to reopen the A83 at the Rest and Be Thankful following the multiple landslides last week.